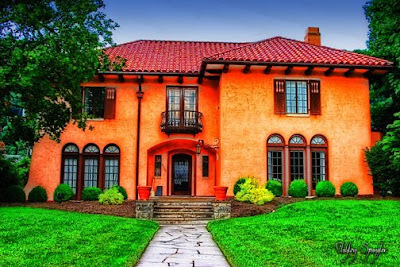 This is one of my favorite houses along the Kanawha Blvd. in Charleston WV. This was on a Spanish style house on the Blvd. in Charleston WV, holding a porch light. 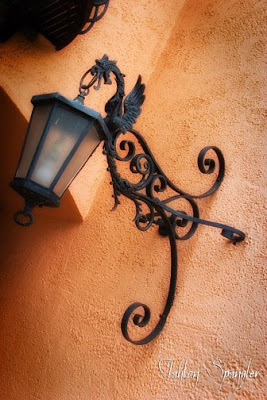 I didn't expect to see a "dragon" holding the light on the wall- I like it!